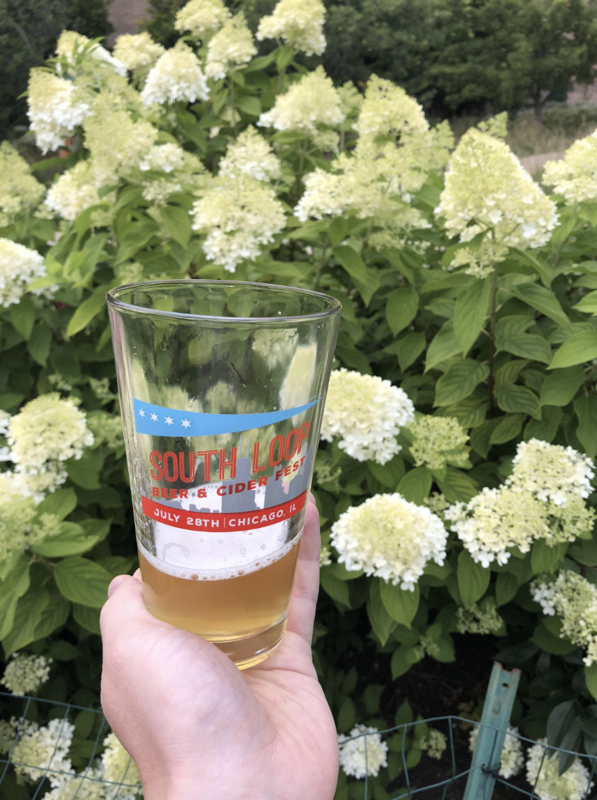 The South Loop Beer & Cider Fest delivered for a third straight year as hundreds of beer lovers enjoyed a picturesque day sipping brews and cheersing ciders in the shadows of Chicago’s skyline. 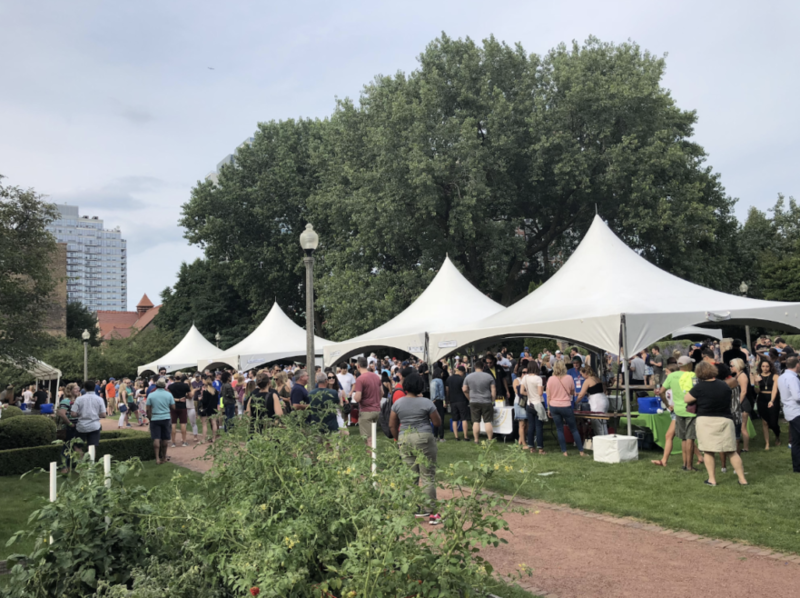 The event featured more than 100 beers and ciders from Illinois and beyond and allowed guests to wander the garden grounds of Chicago Women’s Park and Garden — featuring stunning floral arrangements, a vegetable garden and plenty of green space to sit down with a drink. A DJ spun tunes, and the bold souls amongst the attendees (or those who started sipping earlier) were delighted to dance with beer in hand. The festival also featured top-notch food options including a highly-reviewed Filipino egg roll, the perfect complement to a cold beer. This beer brought the fresh. Brewed with three different kinds of wheat and 2-row malt, take a sip and forget that snow is coming to the Midwest soon. The simplicity of this cider is what made it so good. Fermented apples and a drop of honey from the brewers own beehives. Crisp and sweet and the perfect adult twist on apple juice. The brewers of this one proudly say this pour honors their love for food and food trucks. One part sunshine one part pilsen malts, 4.9 % ABV and 23 IBUs. Drink up. This one was different from any we’d have more. A pseudo-beer/wine with 13.5 ABV, a kick of pineapple and white grape mead. If you like sweet, this one goes down like water.